This is an expert from local Medora author, Rolff Sletten’s book, Medora: Boom, Bust, and Resurrection. It goes into detail on the shooting of Cowboy, Riley Luffsey. The sheriff responded by sending a posse which has been variously described as including from three to twenty men. “The actual number matters little in light of the posse’s feeble response. Unfortunately the sheriff put his much weaker brother, Henry Harmon, in charge of the posse. Harmon and his posse boarded the westbound train in Mandan. When they arrived in Little Missouri (the depot had not yet been built in Medora), they confronted the three hunters and told O’Donald he was under arrest. O’Donald, Wannigan, and Luffsey simply laughed at the timid deputy and rode away. The three hunters rode west from the Little Missouri depot until they reached a spot about three-fourths of a mile straight west of today’s Little Missouri River bridge. there they encountered the Marquis de Mores and four of his employees. 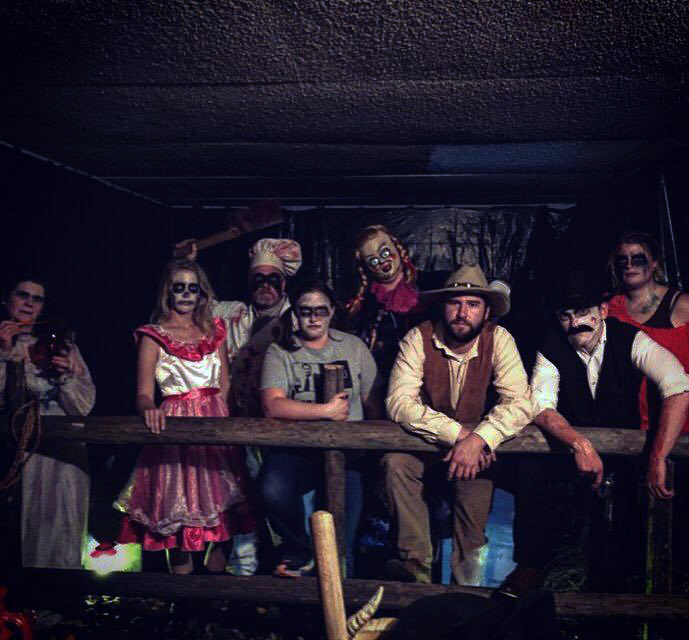 Learn more about Medora’s spooky history during the 2nd Annual Wild West Fright Fest on October 27 and 28. Get more details here.